RussTech, Inc. is a Kentucky corporation supplying admixtures, surface products and raw materials to the construction industry. From humble beginnings in 1967, RussTech has grown into a worldwide company and the industry leader in the manufacture of high quality admixture and construction products. Utilizing cutting edge technologies, extensive research and the highest quality raw materials, RussTech products are second to none. Commitment to our customers is the driving force behind our highly motivated, professional staff and unparalleled technical asset group. Knowledge of construction products, exceptional quality and customer service are their primary responsibilities. With two manufacturing facilities located in Louisville, KY, RussTech utilizes modern technologies and plant designs with stringent quality control guidelines and a well-trained, experienced, knowledgeable staff to ensure a consistent quality product. “We add the difference” with our high-quality products in the residential, commercial and industrial construction sectors throughout North America as well as the rest of the world. Other high-quality products for the concrete construction industry manufactured by RussTech include form and surface retarders, curing and sealing compounds, evaporation retardants, water repellants, and other specialty products. In addition to quality finished products world-wide, RussTech is also a key raw material supplier throughout the United States construction and agricultural industries. RussTech is the largest supplier of sodium glucoheptonate in the United States and is a primary manufacturer and distributor of major industrial chemicals such as calcium nitrite, calcium chloride and sodium thiocyanate. Admixtures carry a complete warranty with no disclaimers. RussTech will stand behind all products provided the true cause of any problem is fully researched and determined. 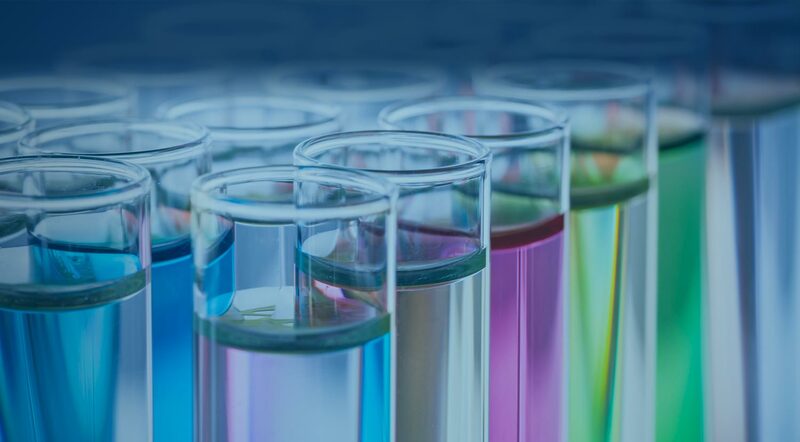 RussTech incorporates only the highest quality raw materials that are available and has a comprehensive quality assurance program that guarantees consistently high-performing admixtures. Each raw material is screened when it enters the plant and is tested for solids level, pH, and specific gravity. Before each finished product leaves the reactor/mixing vessel, it is screened for the highest consistency and performance using the latest technology in evaluating chemical admixtures. Our lab coefficient of variation consistently exceeds an "excellent" rating based on ASTM Laboratory specifications. Tankers deliver finished products from the Louisville, KY manufacturing facility. Lead times are usually 1-3 days. Tanker drivers are courteous, genuinely respectful of your property, and are routinely the same drivers who will be familiar with your operation. Deliveries will be made during normal business hours whenever possible. RussTech provides support to customers whenever needed, and has the capability to have petrographic examinations performed to determine the true cause of concrete problems or a failure. Assistance is also available with soluble chloride ion determinations in materials or concrete, shrinkage tests, and rapid chloride permeability testing. RussTech will prepare a professional statistical analysis report of concrete test specimen variability performance as per ACI 301. Automated dispensing systems designed with the highest quality parts are interfaced into your batching computer to deliver the dependability and accuracy you have come to expect. All admixture systems are professionally installed with neatness and dependability. RussTech employs 2 service representatives to install and maintain dispenser equipment in Kentucky and the surrounding area. Emergency service required on dispensers is performed in 24 hours or less when necessary. The local technical service representative knows the specifying structural engineers in your market very well. He is currently promoting new products and making sure we are included in their specifications. Russtech Supports The Concrete Industry!